COLD SHOULDER Never was the difference more evident than during the financial crisis, when Washington moved quickly in 2008 to tackle problems at its banks with a compulsory scheme to take on new capital, reassuring investors. Five years on, Europe and its uneasy alliance of 28 countries is still struggling to impose order on its financial system and has had to give emergency aid to five countries. This is mirrored in regulation, where the two sides have also clashed over the control of derivatives, with Washington demanding that global trading involving U.S. firms be subject only to U.S. rules, regardless of where it happens. Europe wants a pact that spells out which regulators are responsible for what activities, and how the rules should apply. Some EU officials talk about creating new EU-U.S. institutions to oversee finance, such as jointly tackling any future transatlantic banking crisis. Banks hope for less duplicated regulation. “In derivatives, without an agreement … banks will have to comply with both U.S. and EU rules, which is costly,” said Konstantinos Karountzos at the European Banking Federation. CACOPHONY U.S. Trade Representative Michael Froman, a former economic adviser to President Barack Obama, has expressed Washington’s reluctance. Yet there’s been considerable head scratching in the media about why people would put themselves at such risk. 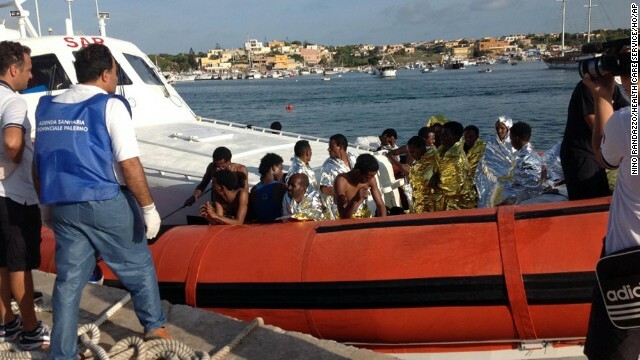 Why would you get on an overcrowded, potentially unseaworthy vessel and risk your life to make it to Lampedusa? For refugees, the answer is simple — what they’re leaving behind is much, much worse. Somalia and Eritrea’s human rights abuses are well documented. Sexual violence and torture are commonplace. For refugees, staying at home — or ‘going back to where they came from’ — is not an option. Difficult though it may be for us to comprehend, for refugees, paying smugglers and boarding these boats is a rational decision. The problem is compounded by the lack of safe, legal routes into Europe. The Refugee Convention — a legal framework which defines who refugees are, their rights and the legal obligations of countries — recognizes that people fleeing for their lives may have to resort to illegal entry. This drives refugees to take even greater risks to escape. European countries have a legal obligation to provide protection under the Refugee Convention but during the last decade the continent’s borders have become heavily securitized, with millions of pounds invested in Frontex, the agency established by the EU to strengthen Europe’s borders and protect the continent against unwanted illegal migrants. These measures should not apply to individuals escaping war and persecution — the theoretical beneficiaries of legally sanctioned protection and compassion — but refugees are often forced to resort to the same irregular channels to leave their country of origin and travel towards safety. Europe’s formidable migration control apparatus does not sufficiently differentiate between individuals who may be in need of international protection and other migrants. In the absence of safe, legal ways to reach European territories, refugees are forced into dangerous and abusive situations, and often obliged to embrace the perils of life-threatening journeys and the unscrupulous services of smugglers.